USB headsets, Bluetooth and more. 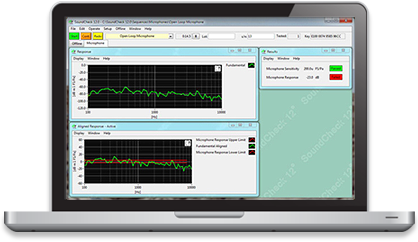 Fast and accurate production line testing for loudspeaker quality control. smartphones, VoIP phones and more. need for testing in the lab and factory. Select from a range of software modules and hardware options to build a system to your exact requirements and budget. Measurement hardware to complete your test system.